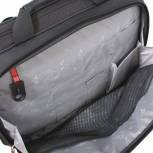 Monolith Nylon Laptop Messenger Bag Black and Grey 2400 Pack of 1 Nylon Laptop Messenger Bag with 2 front zipped pockets and spacious main compartment with padded laptop section to hold laptops up to 15 inches. Compartment also contains Velcro full length pocket and 2 mesh pockets. Detachable strap. W400 x D70 x H320mm. Falcon Neoprene Laptop Sleeve 16 inch Black 2598 Pack of 1 Falcon 16 inch Neoprene Laptop Sleeve. Carry handles. Detachable shoulder strap. Separate utility pouch with clip. W355 x D45 x H285mm. 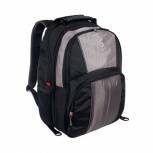 Gino Ferrari Astor Laptop Backpack Black GF502 Pack of 1 Gino Ferrari Astor Backpack. Padded laptop compartment. Large main compartment. Organiser section. Air-flow back padding. Adjustable shoulder straps. Mesh water bottle pockets. MP3 compartment and earphone port. Trolley strap. W330 x D215 x H450mm. Monolith Nylon 17 inch Laptop Case Black 2342 Pack of 1 Monolith Nylon Computer Bag for17 inch laptops. 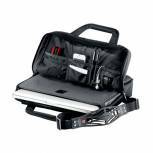 Features silver metal zip pulls and fittings, full organiser section with adjustable dividers, documents pocket and reinforced laptop compartment. Colour - Black. 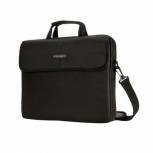 Monolith Executive Mobile Laptop Case Black 3005 Pack of 1 Monolith Executive Mobile Laptop Case. Front zipped organiser pocket. Laptop compartment with lockable zips. Removable laptop slipcase. Second main compartment with 3 sections. Smooth in-line skate wheels. Locking telescopic handle. W410 x D260 x H350mm. 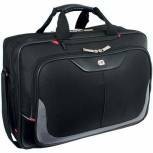 Gino Ferrari Helios Business Bag 16in Black GF542 Pack of 1 Gino Ferrari Helios Business Bag. Padded laptop compartment. Essentials organiser section. Easy access front pocket. Adjustable shoulder strap. Multiple accessory pockets. Webbing strap for attachment to trolley systems. W430 x D100 x H310mm. 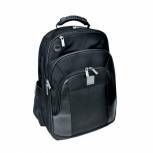 Gino Ferrari Juno 16 inch Laptop Backpack Black GF501 Pack of 1 Backpack with padded compartments for laptop storage. Fits most 16 inch screens. Accessory pockets. Large capacity main compartment. Air-flow back padding. Adjustable shoulder straps. Side mesh water bottle pockets. MP3 compartment. 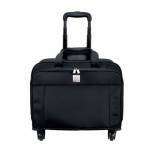 Falcon Mobile Laptop Business Trolley Case Black 2567T Pack of 1 Falcon 16 inch Mobile Laptop Business Trolley Case. Fully padded laptop section. Zipped filing compartment. Front compartment. Retractable trolley handle. Carry handle. Recessed roller blade wheels. 2 compartments have lockable zips. W405 x D240 x H380mm. 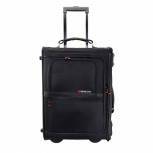 Gino Ferrari Brooklyn Wheeled Laptop Case Black GF565 Pack of 1 Gino Ferrari On Board Wheeled Laptop Case. Locking push button trolley system. Accepts most 16 inch laptops. iPad pocket. Overnight section with clothes straps. In-line skate wheels. Webbing strap for trolley attachment. W410 x D180 x H355mm. 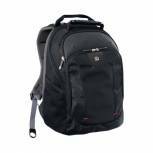 Gino Ferrari Titan Messenger Bag Black GF521 Pack of 1 Gino Ferrari Titan Messenger Bag Black. 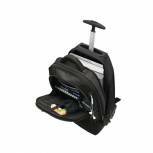 Padded compartment fits up to 17in laptops. Easy access front pocket and organiser section. Multiple accessory pockets. Dimensions: W425 x D90 x H330mm. 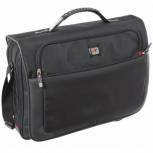 Gino Ferrari Enza Laptop Business Bag Black GF543 Pack of 1 Gino Ferrari Cedra Business Bag. Padded laptop compartment. Essentials organiser section. Easy access front pocket. Adjustable shoulder strap. Multiple accessory pockets. Webbing strap for attachment to trolley systems. W420 x D127 x H335mm. 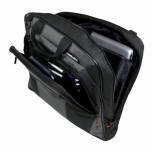 Falcon i-stay Laptop Bag Black IS0102 Pack of 1 i-Stay Laptop Bag Black 0102 Gun metal fittings. Front zip pocket. Padded laptop compartment with a zip pocket. Trolley retainer strap. i-stay non slip replacement shoulder strap. W410 x D95 x H310mm. 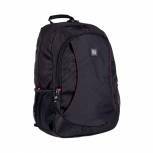 Monolith Premium Laptop Backpack Black 9106 Pack of 1 Monolith Laptop Backpack. Carries and protects all standard laptops. Large document compartment. 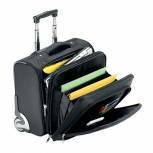 Numerous storage and organiser pockets. Organiser compartment. Contoured/padded lumbar support. W340 x D220 x H440mm. 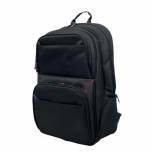 Monolith 2 In 1 Wheeled Laptop Backpack Black 3207 Pack of 1 Padded compartment protects laptops up to 15.6in. Expandable for added capacity. Lockable zippers for added security. 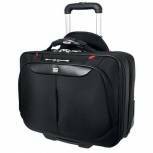 Motion II 4 Wheel Laptop Trolley Case Black 3208 Pack of 1 Padded compartment protects laptops up to 15.6in. 4 wheels for ease of movement. Expandable for added capacity. Lockable zippers for added security. Retractable locking handle mechanism. Supplied empty. Dimensions: W445 x H320 x D230mm.